Nothing feels better than taking a refreshing dip in a pool on a hot day. Whether your kids are playing at Roosevelt Park, or you and your friends meet up at the YMCA or the Country Club, nothing beats a summer swim. As fun as swimming is, though, there are potential dangers – especially for small children. The Centers for Disease Control and Prevention reports that drowning is the leading cause of death for young children ages 1 to 4. For every child under 15 years old who dies from a swimming pool drowning, another 10 children are treated in hospital emergency departments in the United States for nonfatal submersion injuries. 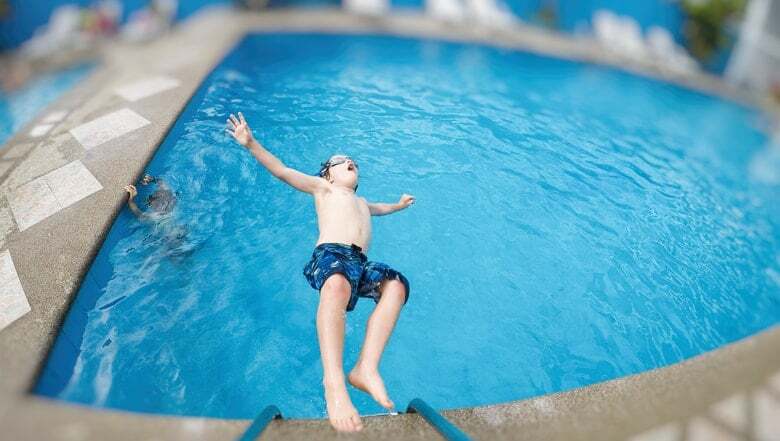 At the Larson Law Firm P.C., we know that a swimming pool accident can be catastrophic. Our experienced North Dakota pool accident lawyers understand the challenges that come with making a claim against a water park or municipal property. If you or your loved one was hurt at a public pool, in a pool at a local gym, or on private property, we will represent your rights and your best interests. If you or a loved one has been injured in a swimming pool accident, talk to a member of our legal team today. We can provide answers to any legal questions you have concerning your accident. Private pool owners and operators are subject to state and federal rules when it comes to maintaining and operating their facilities. If you or your loved one is hurt because of broken or defective pool equipment, negligent security issues, or another person’s negligence, you can file a premises liability claim for damages. If you are injured at a public pool, the rules change a bit. You may need to sue the town itself. Even though the statute of limitations for most personal injury cases is six years (there are some exceptions), if you are planning to bring a claim against the state or any state agency you must file a claim within 180 days. Then you have 3-year statute running from the date of the incident. If claim is against any other government entity – cities, counties, or other political subdivision – then it is 3 years. Government entities may be immune from some types of lawsuits, as well. You should meet with us quickly if you sustained an injury at a city pool, so that you are not time-barred from filing a complaint. For more than 35 years, the legal team of the Larson Law Firm P.C. has helped accident victims obtain the compensation they need for their injuries. We provide legal services to injured parties across North Dakota, including the residents of Ward, Williams, McKenzie, Pierce, and Mountrail Counties. Our Minot office is easily accessible with convenient parking available. Set up a free consultation today by completing our contact form, or calling our Minot office at 701-484-HURT.